There are many ways to harness the power of wind. Wind is used to grind corn or grain. It is also used to grind wheat and make flour. Farmers in remote areas and rural areas use wind energy to draw groundwater from the reservoir, lake, well or any other water source. Big windmills have also been installed to provide basic services for the entire village to draw water for irrigation or for drinking water, etc. Wind energy is mostly used to generate electricity. It is also possible to store the electricity in batteries. You can even use the batteries at a later stage, whenever you feel the need for it. A wind turbine is a rotating machine and it converts the kinetic energy of wind to mechanical energy. If this mechanical energy is directly used by machine like pumps or for grinding, this machine is called windmill. But, if this mechanical energy is directly converted to electricity, then the machine is known as the wind turbine. – Horizontal axis wind turbine (which includes 12th-century windmills, 19th-century windmills and Modern wind turbines). – Vertical axis wind turbine (Darrieus wind turbine, Giromill, “H” vertical wind turbine and Savonius wind turbine). Wind resources can be characterized by wind power density classes, ranging from 1 (lowest) to class 7 (highest). Good wind resources are found in many areas. Before placing a wind turbine one must find out the wind density class. 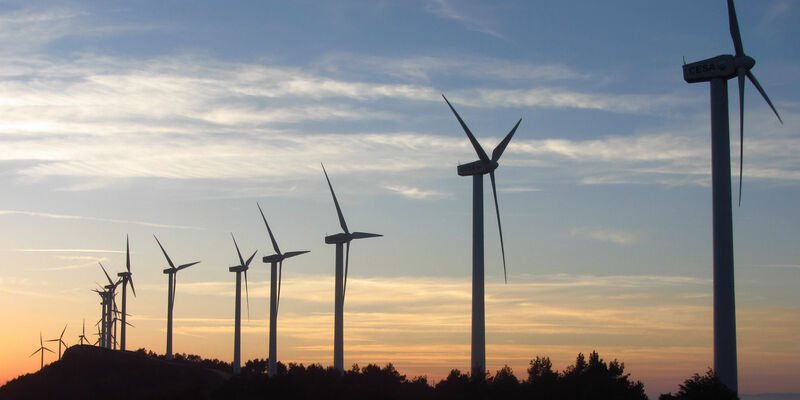 Wind turbines can be used for stand-alone applications or can also be connected to a utility power grid or can be combined with a photovoltaic system, batteries and also diesel generators. In short, wind energy can be very useful in places where there is no electricity. People who have wind turbine can also earn by selling the excess of electricity which they don’t need to other people or to the electricity company.